Far more than diamonds...: Back to the blog! I've been out of the blog loop for a really long time! life! Oh, how it can get in the way! My main objective this June is to stay on track with 1) Daily devotional; 2) Daily Exercise; 3) Home Organization; and 4) Prepare for a brand new self-created curriculum for my PE classes! Reliance on God is the only way. Otherwise six weeks would never be enough to do it all and do it all well. Anyway, I'm very excited to have stumbled upon (I believe I was divinely-led, actually) an online Bible study on Proverbs that was just beginning on the day that I was seeking to start! (That's how God works, you know). http://www.goodmorninggirls.org/ I started that on Monday morning and it's good to feel plugged in to a women's study again. My girls' group here in my home church dissolved due to lots of extenuating outside forces and saddened me greatly. I hope that connecting this way I can gain strength to once again form another bond of ladies here in town. 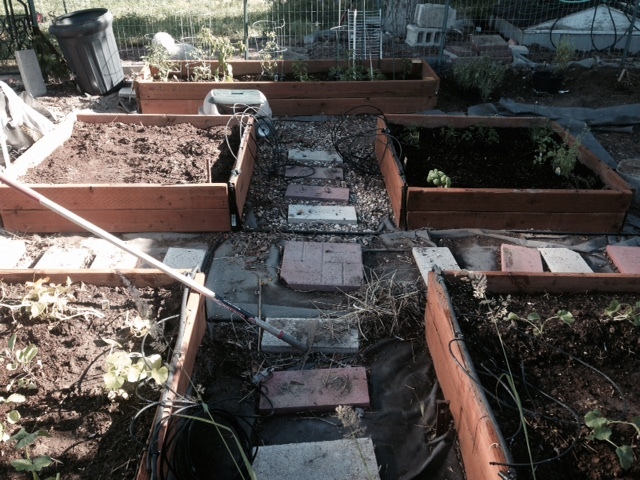 The home organization has begun by getting the garden beds cleaned out and planted. School just got out last week, so asides from putting some papers in order and sending a few emails, the rest can wait a week or two! Until next time-which will be sooner I hope! Healthy thoughts!